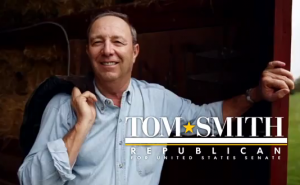 Tom Smith, the businessman and coal industry veteran from Armstrong County, will launch the first television ads of the first Republican primary for U.S. Senate, PoliticsPA has learned. According to multiple GOP media consultants, the buy will total about $160,000 and comprise both broadcast and cable. The ads are scheduled to begin tomorrow and run through December 12th. His ads likely won’t appear on expensive Philadelphia broadcast market, but $7,500 of the total buy will air on cable on Fox News in the region. Update: Tom Fitzgerald of the Philadelphia Inquirer confirmed the buy with the Smith campaign. You can view the video below. John Brabender is one of the Republican media consultants who confirmed the details of the Smith ad buy. He is a general consultant for another candidate in the race, Chester County entrepreneur Steve Welch. About 28 percent of Pa.’s GOP primary voters reside within the Philly market, according to two media consultants. Smith has repeatedly said that he was willing to invest his personal wealth in the race – and demonstrated as such with a$750,000 loan to his campaign reported at the close of the third quarter. An early TV buy is a way for the campaign to flex its financial muscle as well as put Smith on the map. The primary field to take on freshman Senator Bob Casey is crowded, but aside from former State Rep. Sam Rohrer most of the candidates have relatively low name ID. According to a survey by Public Policy Polling, only 13 percent of Republican primary voters know enough about Smith to form an opinion. As a first time candidate, Smith is likely to run a 30 second version of this basic, get-to-know-you video his campaign posted on the web earlier this week. It’s also a possibility, given the slightly unusual start date of the ad’s flight, that he will be more aggressive – perhaps responding to the AFL-CIO’s recent $170,000 pro-Casey ad flight. His campaign had already criticized Casey over the ads. 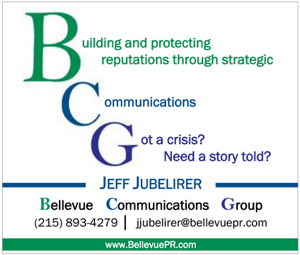 PoliticsPA will update this story when further details of the ad become available. In addition to founding a coal company, Smith was also the leader of the Indiana-Armstrong Patriots tea party organization. 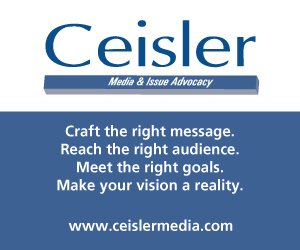 According to the campaign, the ad is running statewide on broadcast and cable stations in the Pittsburgh, Harrisburg and Altoona TV markets, and only on cable outlets in the Philadelphia, Scranton-Wilkes Barre and Erie markets. Look what campaign money has done to this country. Richest man or women wins. Our Founding Fathers are rolling over in their graves. I would think his strategy is to plug into Tea Party Republicans and the Internet is the vehicle for that. BrabenderCox should be, or will be, known to Tea Party as Establishment Insider. This is not a positive. Bob Casey needs to be challenged on ideas. Steve Welch’s ad was brilliant. Pointed out Casey’s record. Not snarky or smart alecky but made a point. The Rs have an outstanding array of candidates and we will see. The key point is that Tom Smith can finance a primary challenge when he does not get an endorsement. Tom has the money. Other than Tim Burns and Steve Welch, I am not sure others do. We shall see. It is good to have so many good people willing to get in.